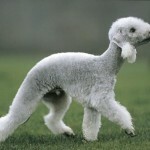 The Bedlington Terrier is a cute dog that looks like a lamb. It wins the heart with its intelligent and opinionated personality. He is not too small and fragile and not as huge as some other breeds — a perfect dog for the family. It is adaptable, versatile and fearless dog. It loves to follow its owner and be a center of attention. It cannot take teasing easily like other terriers, but if treated with love, it is quick to love back. 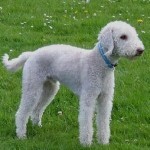 Bedlington Terriers were originally bred to hunt vermin in the mines of Bedlington, Northumberland in the North East England. But due to their handsome looks and agile body, they are used in dog racing and other dog sports. They are also preferred as companion dogs these. Many celebrities have adopted these dogs. They are considered good for allergy sufferers. They do not shed and hence are perfect companion for dog-loving allergy sufferers. 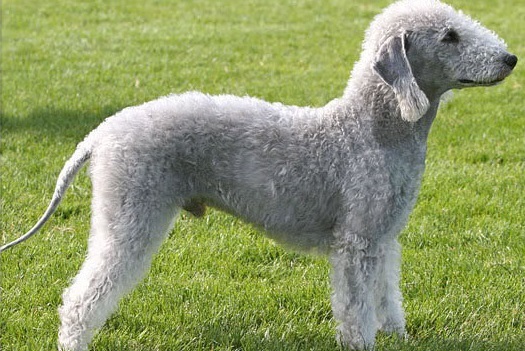 Bedlington Terrier shall be fed balanced dog food twice a day. It is better to stick to homemade dog food for their nutrition but in case of lack of time, the homemade food can be mixed with commercial products for dog. Bedlington Terriers are best suited to warm environments with enough elbow space for their activities. This environment should be well fenced and protected so that they do not get hit by cars. These are quite intelligent dogs. Harsh words or punishment can bring out a stubborn streak in them and hence they need a loving and caring hand. It is quick to bark and quick to chase. They are quite good “escapists” as they can easily go over and under the fence. 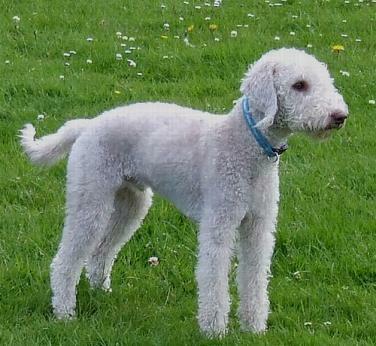 Bedlington Terriers are very affectionate and loyal in nature. They might not get instantly friendly with strangers but they are playful, cheerful and loving with children. They need to be taught to get along with cats and other household animals. They like to bark and need a dominating hand while handling else they can turn obstinate. These are moderately active dogs. They can do well indoors but they need lots of exercise to keep them occupied. These exercises can include brisk walks or the fetching game. They are good for jogging or hiking and are happy to relax inside the home. 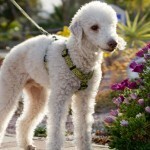 However they are quite fast and need leash or a fenced area to keep them inside. After gestation, the puppy stage begins and lasts for 6 – 18 months. 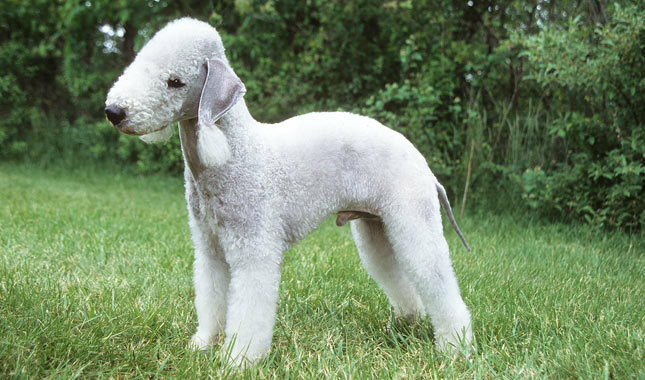 Bedlington Terriers generally learn to interact freely with humans at this stage and thereafter, they move to the adolescent stage. During the adolescent stage, these dogs grow in size and slowly adapts to this change. Furthermore, they exercise more as adults and do not provide much stress to the breeder in terms of care. 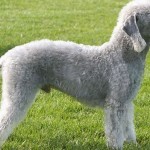 At the senior stage which is between 12 – 16 years for Bedlington Terriers, they become slower due to old age and die thereafter. 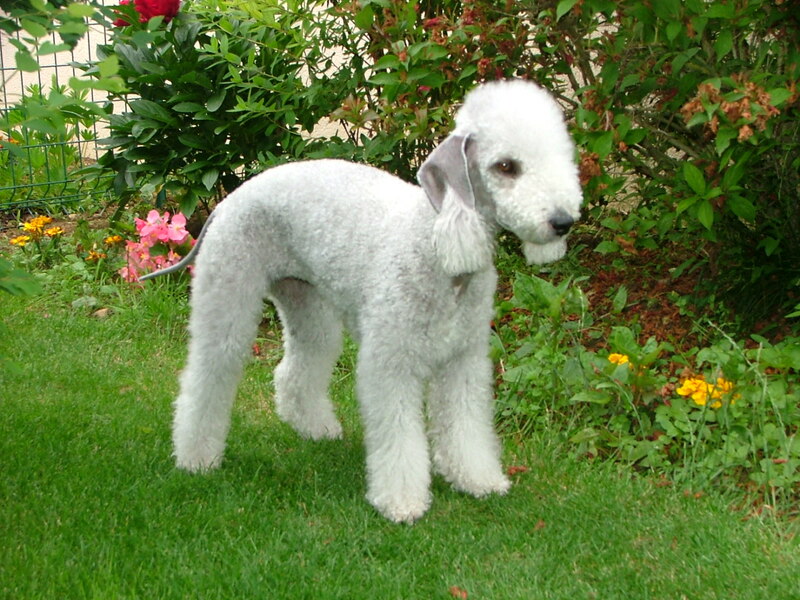 Humans are the most noticeable predators of Bedlington Terriers. However when in the wild, they fall prey to flesh eaters like lions and tigers etc. These dogs are moderately easy to train. Like all the other terriers, they learn commands at an average rate. They can be given agility training, obedience training or tracking training. Positive reinforcement techniques work well with them as punishment can make them mulish. They need regular care and love. They respond well to rewards rather than punishments. 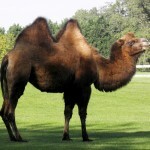 They are agile creatures and hence need sufficient exercise to keep their mind and body active. With proper training and socialization, they extract the most out of life. They can be a perfect playmate or a perfect couch potato as per the owner’s training. 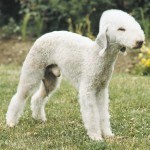 The Bedlington Terrier resembles a lamb. The dog has blue, liver or sandy coloration with tan points. 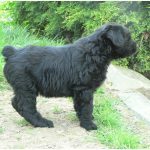 The puppies are mostly born with black or dark brown fur which lightens to grey or liver with age. 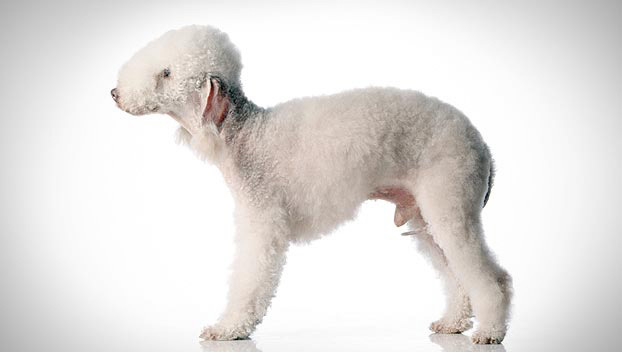 A distinct topknot makes them stand out in the breed of terrier. They are small dogs. The male has height ranging from 16 to 17.5 inches, while the female measures 15 to 16.5 inches. They weigh somewhere between 17-23 pounds. Their curly and fluffly coat is the highlight of their appearance. The court is linty in texture and is combination of hard and soft hair. 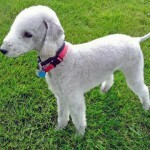 Without grooming, their coat can mat and deteriorate quickly. They do not shed much if groomed properly. It has pear shaped head and arched back and it looks very different from all other terriers. It has almond shaped eyes and their body is slightly longer than their height. They are one of the best runners and best kind of water-dogs who can swim for long duration like water dogs. 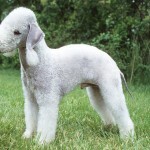 The life span of Bedlington Terriers differs according to the care, region and absence of diseases. 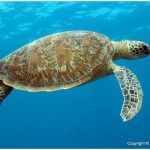 However, their average lifespan ranges from 14 to 16 years. 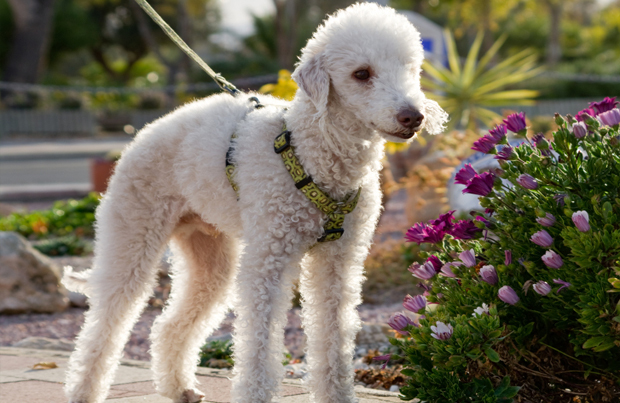 The most common health problem with the Bedlington Terriers is the liver problem known as Copper Storage Disease. Some terriers also suffer from other kidney and eye disorders. 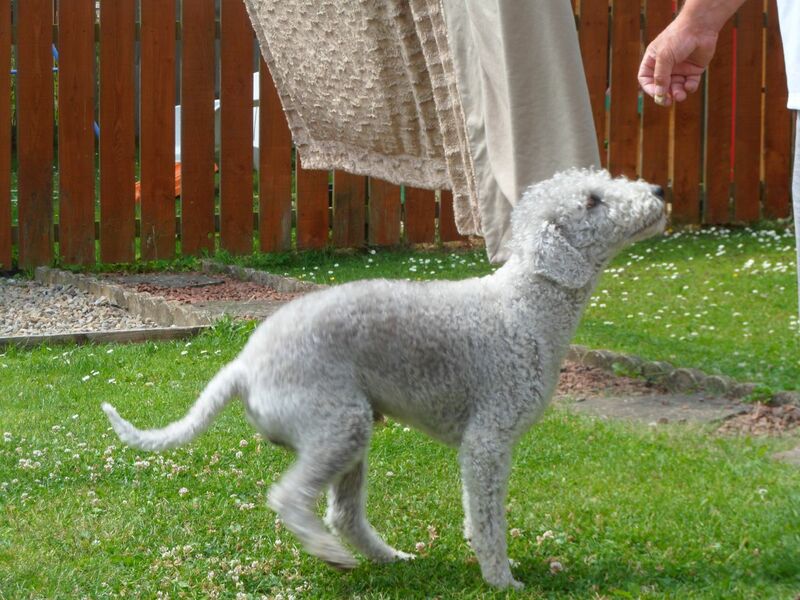 Although the Bedlington is a hardy and healthy breed, it is a good idea to check all the health clearance before purchase of the dog. 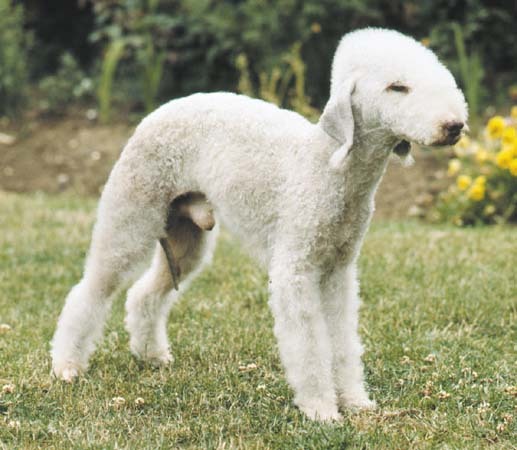 The Bedlington Terrier should be regularly vaccinated to avoid any kind of health issues. 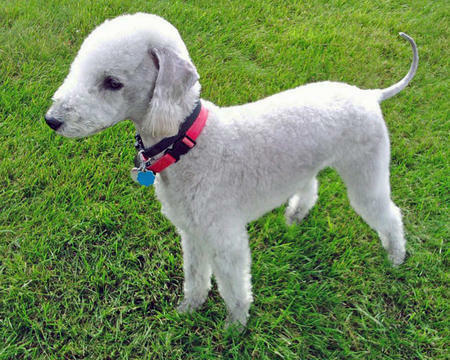 Bedlington Terrier needs constant grooming and brushing. Their coat also calls for regular trimming. It needs regular washing, but it should not be washed too often. They do not regularly look like the pictures shown everywhere. That kind of grooming takes professional service. 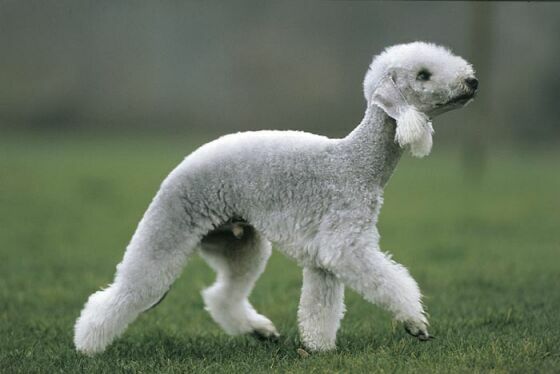 Bedlington Terriers shed their skins once or twice yearly. Adequate care should be provided during this period. It is suited for apartment life. It is a friendly dog and loves children. Bedlingtons can keep up with the horse as well. They are versatile dogs which can be trained to do many things including catching and fetching things. It needs plenty of exercise. It needs regular of grooming to protect their coat from being matted. They need firm handling else they might turn out to be stubborn. 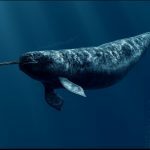 It is a perfect swimmer and can compete with water dogs. Like all other dogs, it loves to chase. It can turn lazy if not taken outside regularly. It is quite peaceful with other pets. 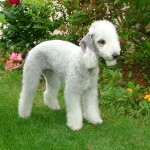 The full name of this shaggy-coated dog is Bedlington Terrier. It is also known by the names like RothburyTerrrier, RodberyTerrier,andRothbury’s lamb. It is named after a mining town of Northumberland, England. 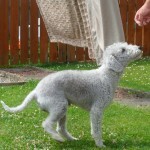 Bedlingon Terrier is a small dog breed. It belongs to the terrier breed of dogs. It has a lifespan of 14-16 years. In terms of temperament, this dog playful, cheerful and affectionate with enhanced hunting skills. The female has a height of 15-16.5 inches. The male has a height of 16-17.5 inches. 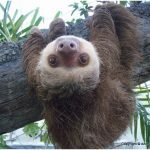 Their weight ranges from 7.7 Kg to 10.4 Kg. They can be blue, liver, or sandy with tan points. Their price can vary from $400-$800 depending upon the geographical location.